Cowboy Hats may look Outdoor and Western but it is one of the most popular outdoor hats in the world. You can look like someone from old western films by wearing one. 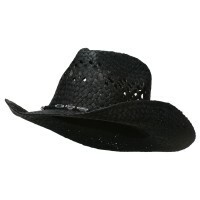 Check out our collection of cowboy hats and find one to your liking. Nothing beats feeling as if you’re back in old western times Cowboy and Outback Hats and Outback hats give the person wearing it a taste of the golden days. Style and story are combined into one amazing hat. These hats feature a brim around the entire hat, with the sides raise up from the brim. Some of these hats feature an adjustable string that gives the user the ability to adjust the size according to their needs. With a wide array of colors and styles, anyone can experience feeling like a Cowboy thanks to these hats. Designs range from simple, traditional brown Outback hats, to hats sporting the American Flag, hats made of straw material, and even hats with leather straps. Cowboy and outback hats can be worn by people of either gender and of any age. These hats will definitely draw lots of attention to the person wearing them, making them the centerpiece of any outfit. If you love spending a lot of time in the outback as much as the next guy, then you need the right hat to protect you from the different elements of weather. 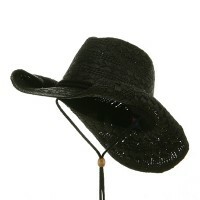 Cowboy and Outback Hats will definitely provide you with the protection that you need. But there is more to Cowboy Hats than just protecting your head against sun and rain. Even if you don’t spend time outdoors, you can wear them just the same as part of your fashion statement. With these hats, you will definitely look like the iconic John Wayne from old western Hollywood movies. There are many other types of hats that you can wear if you love spending time outdoors and aside from cowboy and Outback Hats, you can also wear Cowboy and Outback Hats. These hats are made from straw thus they do not only protect your head against the sun but it also keeps it dry and cool all throughout the day. But if you want to look stylish while you are in an exotic trip to the safari, you can also look great with Flap, Neck Cover Hats. These hats are very comfortable and you will definitely look one with nature.